Beginning in Fall 2018, all University Housing Dining Markets at the University of Wisconsin-Madison will move exclusively to a reusable to-go container program for all carry-out food. The goal of this program, named Ticket to Take Out, is to reduce single-use disposable waste in all University Housing Dining Markets and to establish a green alternative for anyone wishing to take their food on-the-go. 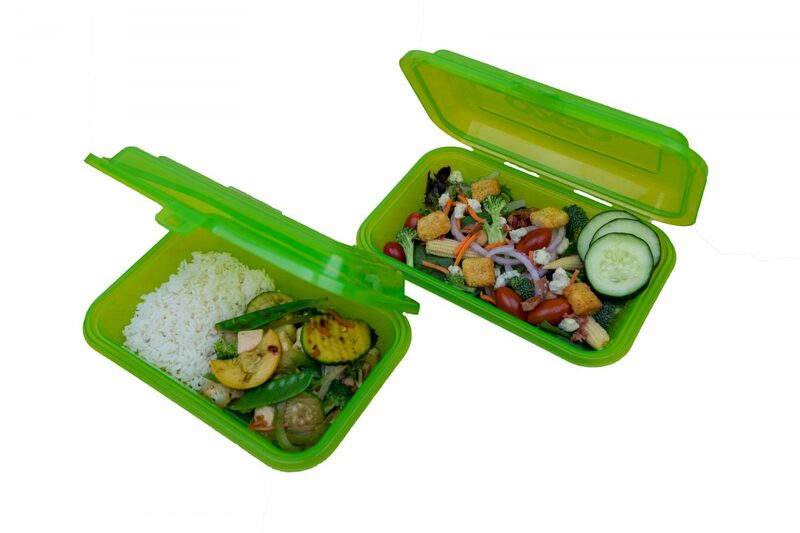 “Over the past several years we have tried a variety of compostable to-go containers in our Markets but we’ve found there is still a large misunderstanding about which materials can be recycled or composted and how to do so properly among students and other guests,” says Peter Testory, Director of University Housing Dining & Culinary Services. All students living in University Housing Residence Halls and any UW-Madison Faculty or Staff who have purchased a Faculty/Staff Meal Plan will automatically receive a Ticket to Take Out container token. Individuals will bring their container token with them to any University Housing Dining Market and request their food to-go. A Dining Team Member will place the meal in a Ticket to Take Out reusable container. Upon check-out, the cashier will request the container token. When the individual is finished with their meal, simply return the empty, clean container to a container vending machine located in one of five Dining Markets—Carson’s, Four Lakes, Gordon Avenue, Liz’s, or Rheta’s—and receive a new token for use at a future meal. “One of University Housing’s core values is Stewardship. Using a program such as Ticket to Take Out in our Dining Markets reinforces our care for the resources we use,” says Jeff Novak, Director of University Housing. Anyone on campus is invited to buy into the Ticket To Take Out program as disposable containers will no longer be in use at Dining Markets. Container tokens can be purchased from any Dining Market for a cost of $5.00 each. If individuals misplace a token or would like additional tokens, they can be purchased for the same price. To learn more about Ticket to Take Out, visit go.wisc.edu/ticket-to-takeout.